Copyright © 2017 L.Mule + magnetic. Born into a family of classical musicians, Leonard has played various instruments since childhood. 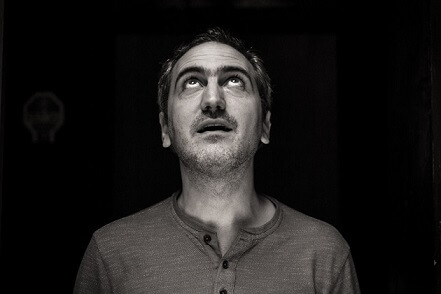 In 2001, he moved to Paris and became a sideman for artists such as 3 minutes sur mer / Guilhem Valayé, Bensé, Bo, Eric Dahan, Landscape, Simple as Pop... During those years, he learned sound techniques and in 2003, he produced his first album at home. In 2007, he opened his own recording studio in Paris : Le Poisson Barbu (the Bearded Fish) where he worked with artists including Wax Tailor, Charlie Winston, Keziah Jones, Tricky, Disiz la Peste, Jil is Lucky and produced or co-produced albums and EPs for many independent artists. In 2017, he moved to Rezé (Nantes) and now works between home and Paris. Keyboards : Yamaha, Clavia, Studiologic, Computer !